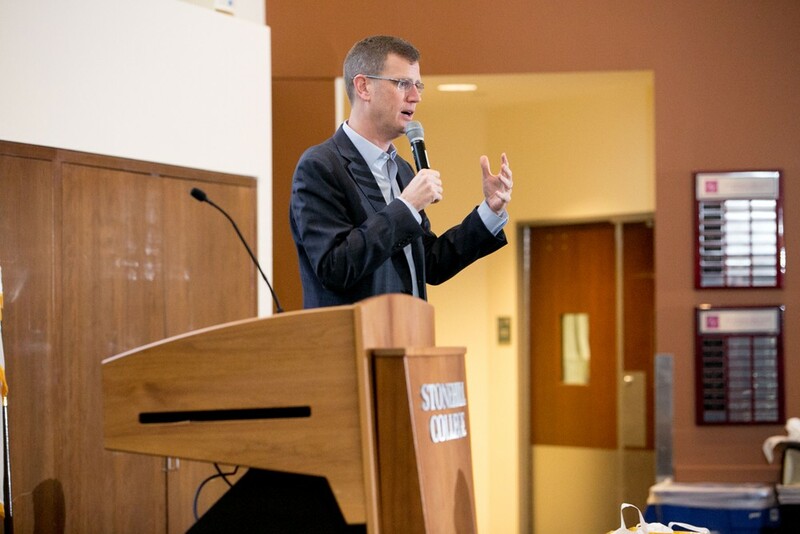 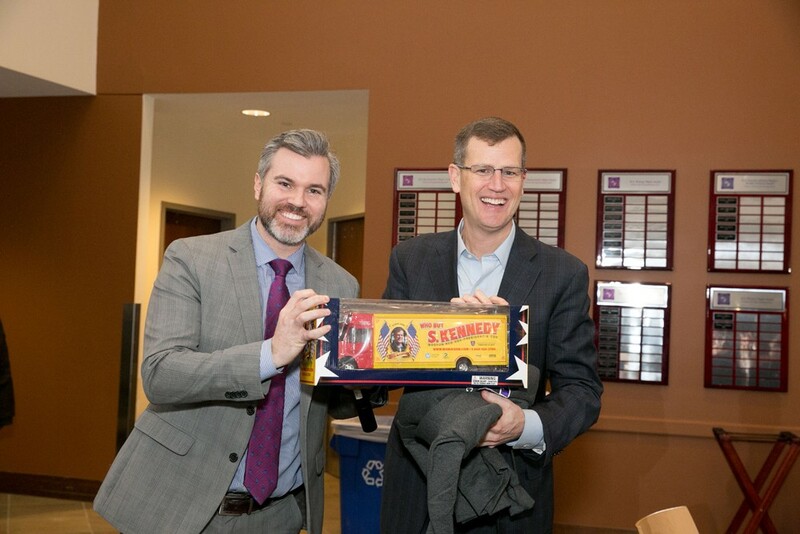 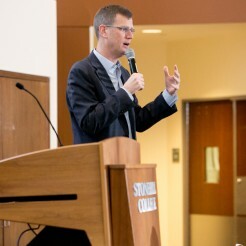 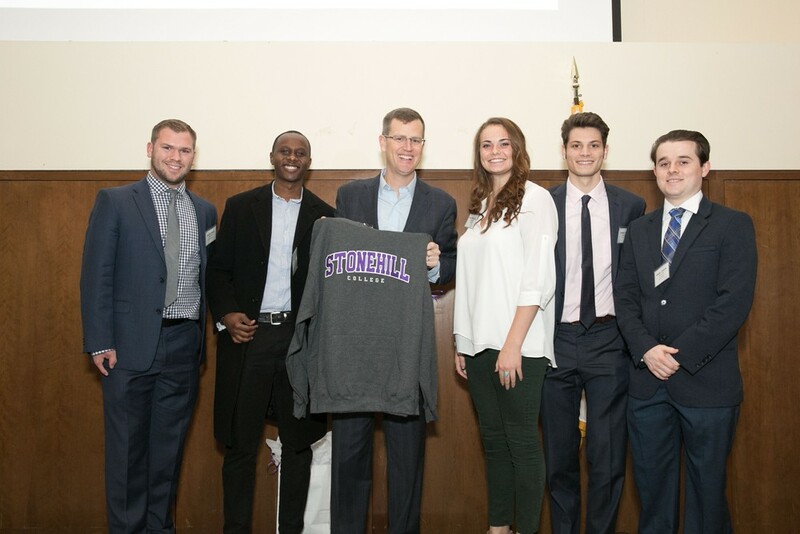 Red Sox President and CEO Sam Kennedy spent Thursday evening getting peppered with questions about leadership by students at Stonehill College’s W. B. Mason Student Leadership Forum. 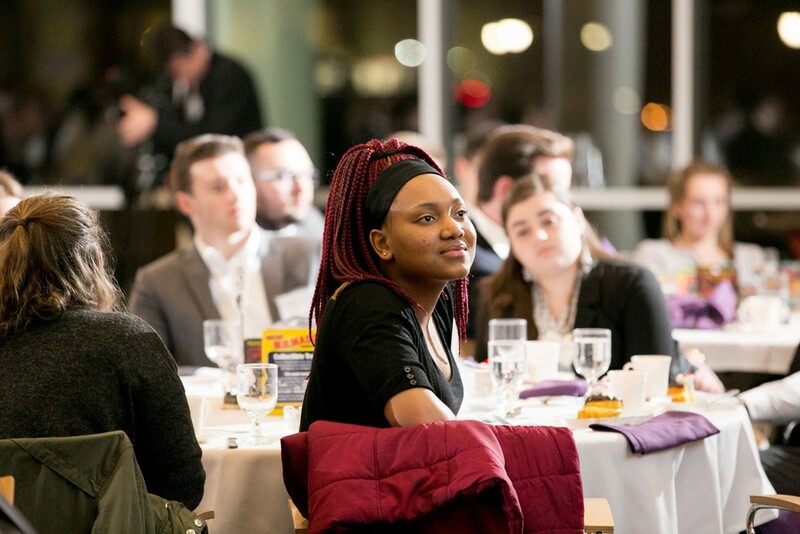 Now in its third year, the Forum explores the realities and requirements of leadership in practical terms, bringing students and top business executives together for a night of conversation and one-on-one networking. 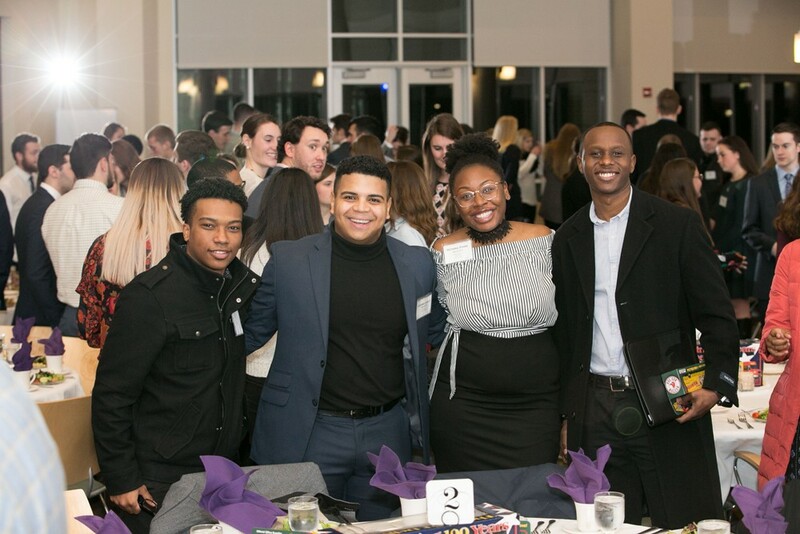 More than 140 students active in Student Government, campus ministry, athletics, volunteer activities, residence life, and clubs and societies attended the event. 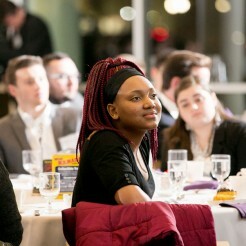 Accompanying the students were 30 W.B. 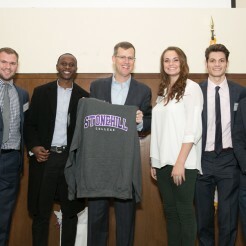 Mason employees—most of whom are Stonehill alumni—including the company’s President & CEO Leo J. Meehan ’75 and its Chairman Steven Greene ’16. 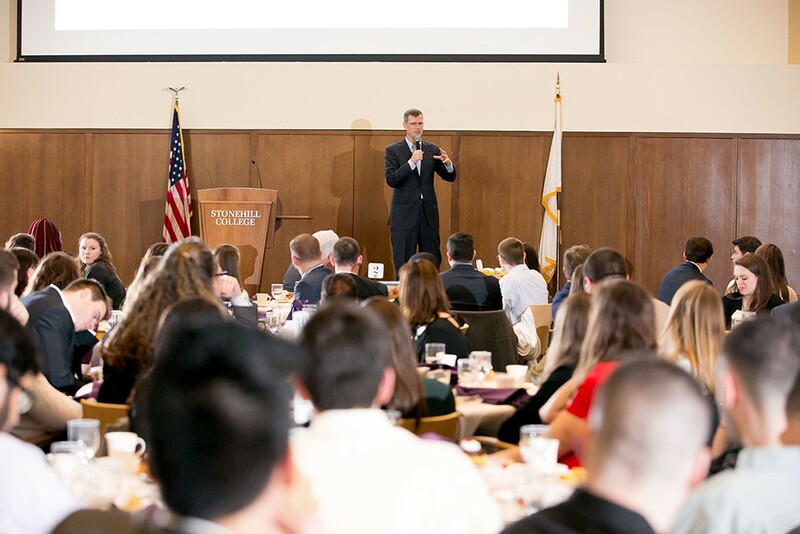 Both Kennedy and Meehan gave remarks to the students, along with a substantial Q&A session from Kennedy, covering a wide range of topics. 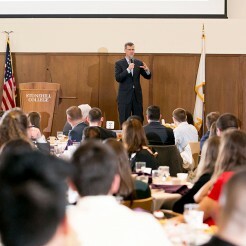 Kennedy spoke at length about success in both work and life, hailing David Ortiz as an example of excellence and the “ultimate leader” for the Red Sox. 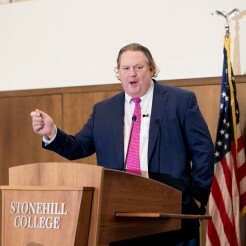 “We won’t fully appreciate his impact until many more years have passed, but I believe he is the most important player in Red Sox history given we won three World Series Championships with him on the team—and for his strength of character in the wake of the Boston Marathon bombing,” said Kennedy. 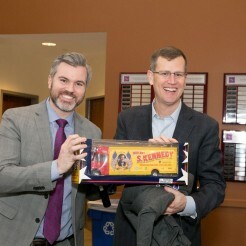 In introducing Kennedy, W.B. 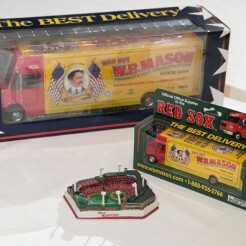 Mason President and CEO Leo J. Meehan also recalled those watershed negotiations back in 2002, noting that the deal with the Red Sox proved to be the “single biggest thing that launched W.B. 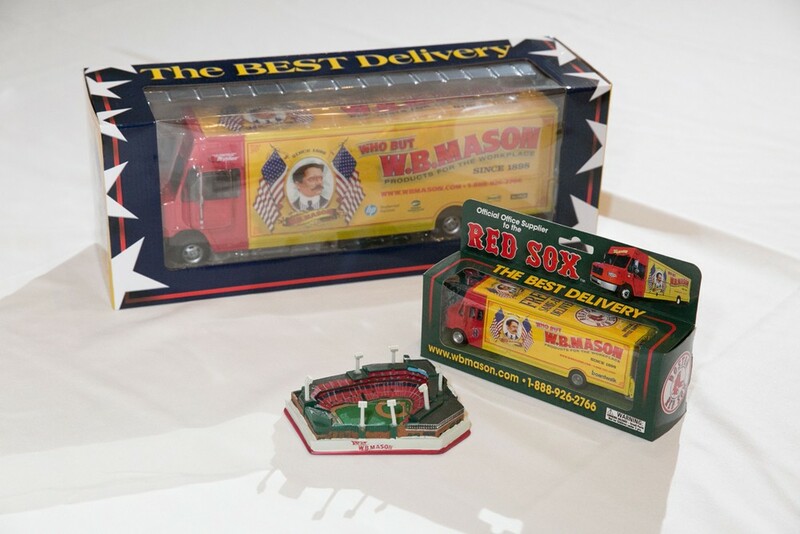 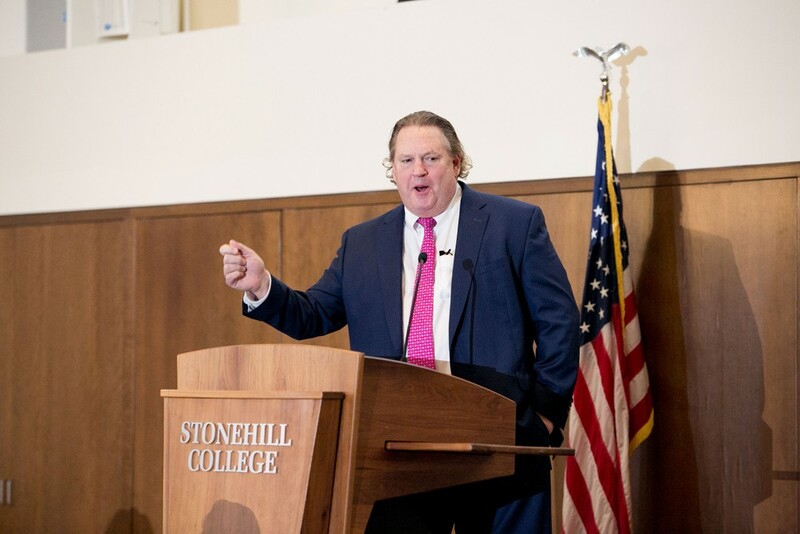 Mason on its way to corporate success and revolutionizing how the company does business.” In fact, to emphasize the point, Meehan shared a short, humorous video with W. B. Mason employees acting in the roles of the company and the Red Sox negotiators. 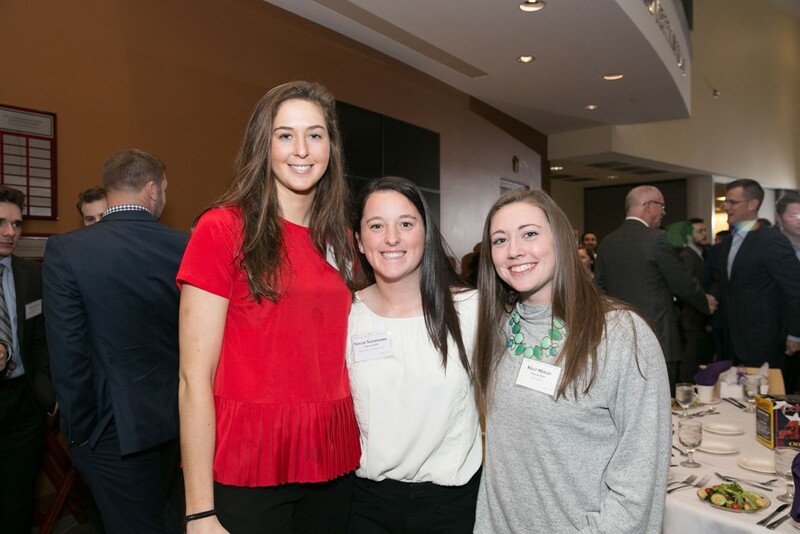 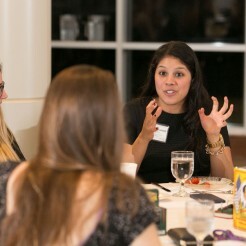 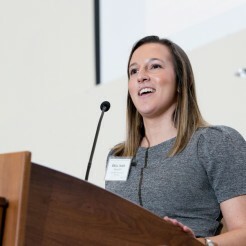 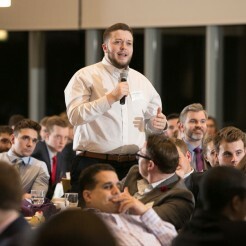 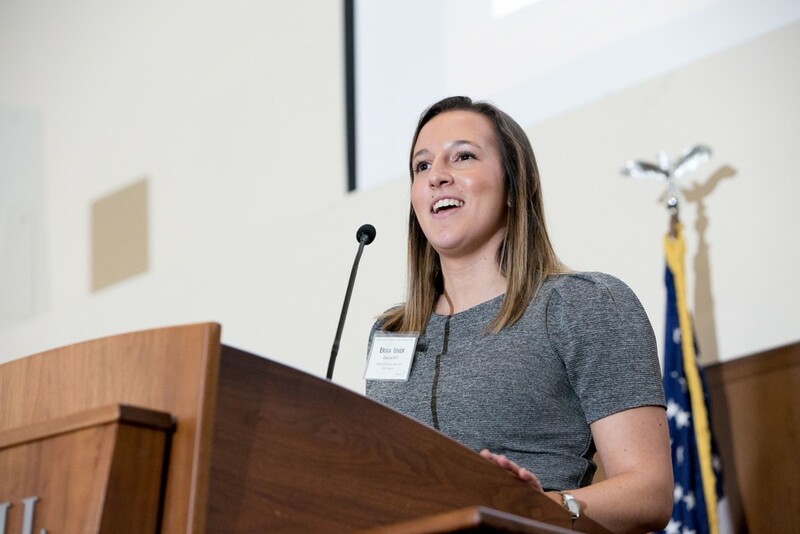 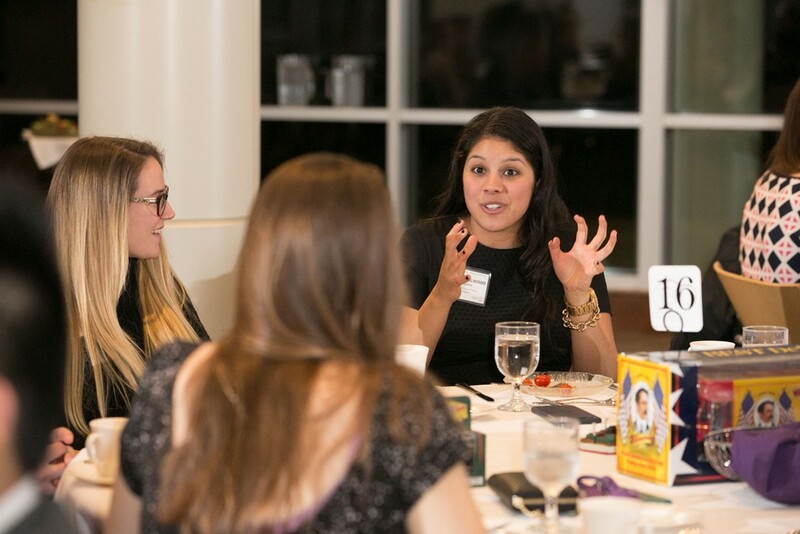 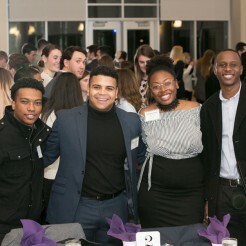 “Regardless of your major or area of leadership, the advice that all of the speakers offered us will help us along our paths leading into the future,” said Ashley Hitchcock ’18, “The event and conversations assured the senior class that come May, we will be ready for whatever comes our way.” Hitchcock will be attending Northeastern University's MSA/MBA program after graduation in May. 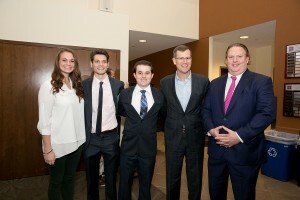 “As a die-hard Red Sox fan, I was star-struck when given the chance to meet Sam Kennedy. 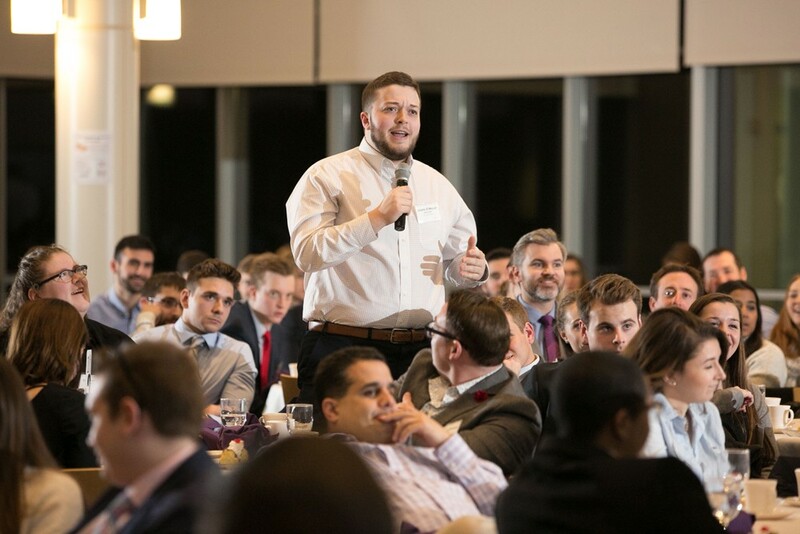 I aspire to someday be in his shoes and to lead in the same way that he does,” explained Ryan Peck ’18. 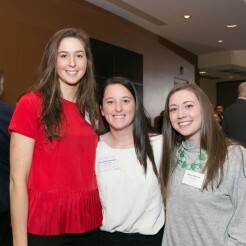 After graduating in May, Peck will begin a master’s degree program in accounting at Northeastern University and will start working for PriceWaterHouseCoopers in January.